Good news for young adults in Columbus! Ohio’s capital ranks in the top three U.S. cities for millennial home buyers, according to a report from real estate brokerage RedFin. And, of the top 10 most affordable areas, Columbus was the only place where the share of homes within reach for millennials increased from 2017 to 2018. In some coastal areas, only a small portion of homes are affordable to the typical millennial. In Columbus, however, about 87.5 percent of the housing market is affordable for =potential home buyers between 23 and 38 years old. 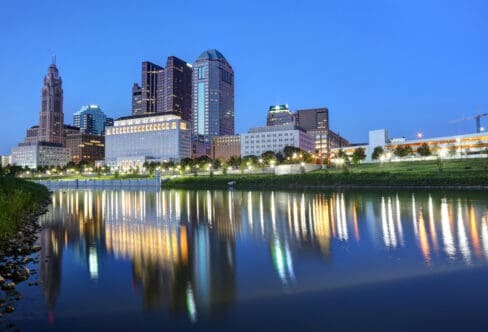 To learn more about why Columbus is such a great place to live and work, check out our Moving tips: Why Move to Columbus, Ohio blog post. By contrast, the 10 least affordable metro areas for millennials, who are currently between 23 and 38 years old, are in coastal states like California, New York and Florida. Overall, 67.3 percent of homes across all the metro areas that Redfin tracks were affordable for millennials in 2018, down from 71.2 percent in 2017. Herlihy Mayflower has been moving young professionals and families of all ages since 1920. As one of Ohio’s oldest moving companies, we have moved people throughout Ohio, across the United States, and around the world. We’re BBB accredited and Angie’s List approved. And, as a locally owned and top-rated agent of Mayflower Moving serving Chillicothe, Athens, and Columbus, Ohio, we have the resources to move you, no matter where you need to go.